Part of my responsibility as a parent is to use logic to make judgement calls for my family, particularly the boys. 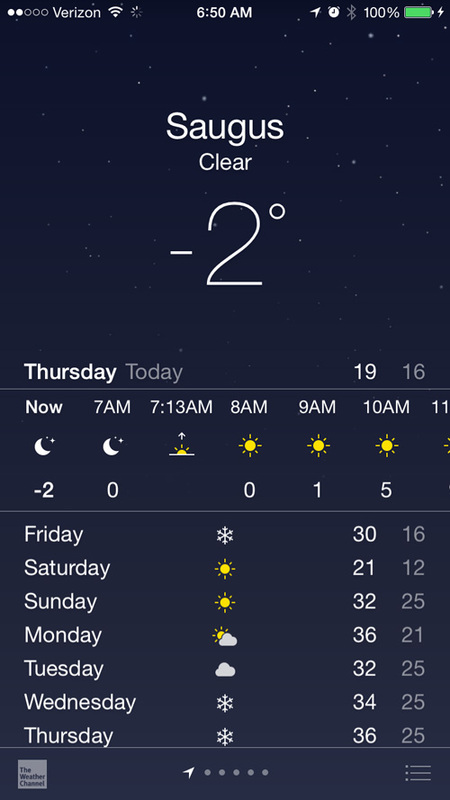 This morning I woke to this temp on my iPhone. Many schools cancelled school in the area and I waited for ours to follow suit but as luck would have it, it didn’t happen. 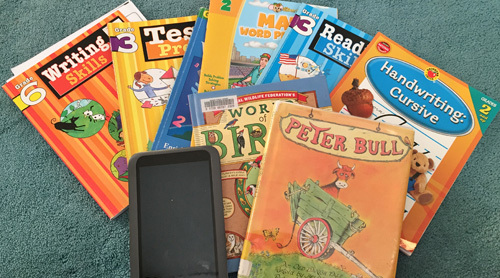 So I had a decision to make – bring them to school and dismiss them early so I don’t catch frost bite at pick up or keep them home for the day and provide an educational environment at home. Well my gut said, “Baby it’s cold outside, keep them home”. So I armed myself with a few of our many workbooks and divided up sections I wanted them to work on throughout the day. After they were dressed and ate breakfast, I explained the cold weather and that today the school is open so we are not on holiday we are just going to work at home. Then I gave them their first assignments. Nicholas would be focusing on his writing skills in the morning and reading skills in the afternoon. Apollo would work on a little math, test prep in the morning and reading and cursive in the afternoon. 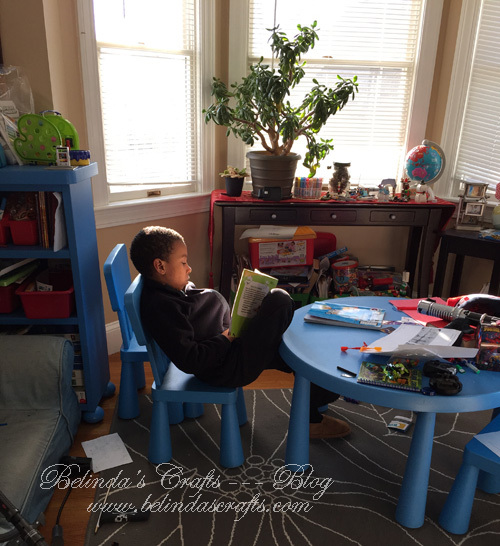 For reading in the afternoon, I took one boy at a time into my Reading Nook. Apollo and I read “World of Birds: A Beginner’s Guide“. I love birding and I want to teach him more so it is a wonderful book with amazing illustrations. He enjoyed it and I added a fun element to keep his interest. We used SIRI to look up the bird calls of the birds as we read about them. Because I want him to learn this information, we stopped after reading about Cardinals and will revisit to continue tomorrow. For Nicholas, we begin listening to “The Emerald Atlas” audio book and I had him take notes to help enhance his listening skills. We listened to the prologue today and will continue a little each day until we complete the book. Despite a bit of protest, I am convinced they liked the structure. I even provided a snack and lunch break and we finished our day promptly at 3;00. Tomorrow back to school and I feel good that it was a productive day. Not a bad day of homeschooling at the Fernandes’ house! I think you make a wise decision!